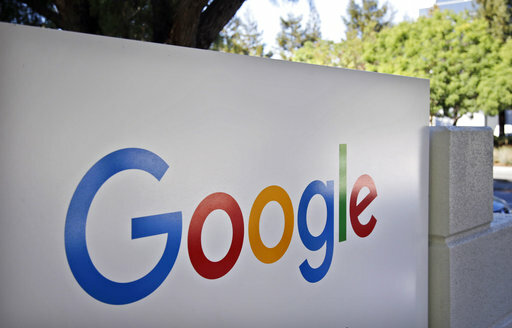 MOUNTAIN VIEW, Calif. (CN) – Google distanced itself on Monday from a 10-page blog post written by an engineer who said biological differences between men and women are the reason for the lack of female representation at the company. While Google executives strongly condemned some of the language of the post, others said such condemnation is an example of the type of authoritarian political correctness meant to silence rather than foster debate – an idea central to the engineer’s criticism of the company and its approach. In the blog post, the engineer questioned whether the company’s diversity program is inherently fair, arguing against the notion that gender is a social construct. The engineer said there are biological differences between men and women that account for why there are more men employed at Google. “I’m simply stating that the distribution of preferences and abilities of men and women differ in part due to biological causes and that these differences may explain why we don’t see equal representation of women in tech and leadership,” the anonymous engineer wrote. On Monday, Google’s new vice president of diversity Danielle Brown condemned the post. Google is currently under investigation by the U.S. Department of Labor to determine whether the tech giant systematically underpays its female employees when compared to male counterparts. The federal agency sued the tech giant in January, saying Google was intentionally withholding documents that demonstrated the degree to which women are underpaid. Since the investigation, Google has created programs and reformed hiring practices in an effort to address its diversity issues and foster an environment where women and minority candidates get fast-track consideration and are assisted in navigating the workplace. The unnamed engineer wrote the post to question the worth of those programs. He asked whether such programs are actually a form of discrimination against qualified white males and whether a discussion about the programs’ efficacy for both candidates and the good of the company could even occur at Google. Commentators on the other side – and most media outlets – blasted the notion that men flourish in tech companies due to biological advantages. But few addressed the engineer’s contention that conservative voices are shut down in places like Google. Silicon Valley companies in general have proven a difficult and sometimes hostile place for women to work. Former Uber CEO Travis Kalanick stepped down amid claims of sexual harassment and in some cases blatant misogyny within the ranks of his ride-hail company. Dave McClure, a prominent Silicon Valley investor and CEO of startup incubator 500 Startups, resigned last month amid reports he came on to a female job applicant and had engaged in many similar episodes which were suppressed by the company. Ellen Pao brought a gender discrimination lawsuit against her former employer and said her eventual ouster as CEO of Reddit had much to do with her gender. A 2016 study by former Yahoo executive Michele Madansky revealed 60 percent of women surveyed had been sexually harassed while at a Silicon Valley company. The anonymous blogger at Google did not deny these incidents happened, or deny the importance of thwarting them. He acknowledged diversity is a goal and said women can be as capable as men in computer science. But he also said that given the biological and cultural emphases placed on men and women in contemporary culture, it would be difficult for a company like Google to get to reach a 50-50 male/female ratio. He added that any attempt to do so would likely result in more capable individuals being passed over in the name of demographic composition – which would hurt the company – and that the culture at Google prevented anyone from even considering the merits of such an argument.